Houses & Homes VA: Bankruptcy and foreclosures can be a good thing ??? Bankruptcy and foreclosures can be a good thing ??? As strange as it may seem, the allowance of foreclosures, short sales and bankruptcies in our country can actually benefit the economy in the long run. How can this be you might ask? Well, the truth is that being able to put so much debt behind us is actually the first step towards recovering. Once a person’s debt has reached the point that it would be impossible to pay off regardless of their effort, eliminating that debt could be their only hope. Without the ability to “dismiss” it in some manner they could spend the rest of their lives in a fruitless attempt to pay off a debt that is simply too large for them to handle. 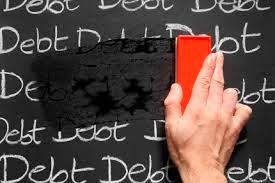 In essence, the American method of debt forgiveness allows people to have a fresh start and begin again. Many people are aware of the fact that bad marks on our credit report may remain there for 7 years but can you imagine if they never went away? The future ability to buy a home, a car, or even less expensive items using credit would be impossible for some and the results would be tragic for the economy. There would be many more renters than buyers for one thing because many homeowners today did have financial problems in the past but were able to recover thanks to a system that allowed them a second chance. Did you know that since the end of 2008 more than 7 million homes in the U.S. have either been foreclosed upon or sold in a short sale? That equates to billions of dollars of “forgiven debt” that was absorbed by the lending industry. Statistics show however that today many of these people have been able to buy another home. Imagine the hit the economy would take if that were not possible? It’s also important to realize that this very day 17% of homeowners still live in a property that is worth less than what is owed. As compared to many other countries lenders in the U.S. are much more forgiving towards homeowners who have tried their best even if they were not successful. Effort does count and many lenders (as well as the courts) will help those of us in serious financial crisis. Obviously we can’t always avoid losing our home but there are many avenues that we can pursue to try to avoid it and the laws in our country do offer some protection at least for a period of time. Currently our economy is on the upswing in America. Growth is nearly 3% and jobs are being added every month. Even though the country is still not completely recovered from the latest recession things are looking up and it’s good to know that even in the worst case scenario that we as individuals can recover as well.